Forces have their eyes on the Stone Raiders for their own reasons. The Stone Raiders and Party Zero will be vital to the plans of higher powers and the future of Emerilia. They just have to survive long enough to make it there. A series of events are set into motion that will change the world, and just maybe the universe. Michael Chatfield and Tristan Morris are really moving this story along nicely. For th Guild continues the story, but begins adding in some spices, like long forgotten races making appearances. One thing I will say is that the action really picks up here, and the plot most assuredly "thickens". My son was listening along with me for a bout of an hour's worth of a car ride. He hadn't heard the first two books, because he doesn't like those "gaming" books I listen to, but in that hour he was hooked and wanted to listen to the whole series so far. He's loving Book One, and I am looking forward to Book Four!!! As far as I'm concerned the series just continues to improve, and so does Morris' narration, as we get further along. You won't want to put this book down. I was tempted to speed up the narration speed but decided not to do so, because I wanted to savor the story as it unfolded, but man, I want to get in deeper faster. So, I was torn, and in the end kept everything at a regular pace, and just had to wait for the story to unfold naturally. Morris really does add some depth to the characters, and manipulates his voice well for each character. I am loving listening to him as we go along. All I can say is that this series is really shaping up to be a major blast and that I cannot wait for more to come out. If you haven't been reading this you have been missing out. If you are a gamer this is a book for you and if your not this is a book with reading. Even though is is book 3 it was still able to follow along. There is a lot of action. The Stone Raiders find a technologically advance race in ruins. They begin to repair for the day the race returns. The characters are well developed. The narrator brings the characters to life. Really enjoyed the book. Our heroes get their tech on! The series is still progressing in awesome directions. In this book the PK guild attacks the Stone Raiders and are fought back. They discover the ruins of a very technologically advanced race and are helping repair them in preparation for their return. It's very entertaining seeing the characters grow and their skills and abilities evolve. The narration is as strong as ever. Can't wait to listen to the next installment. I was given this free review copy audiobook at my request and have voluntarily left this review. 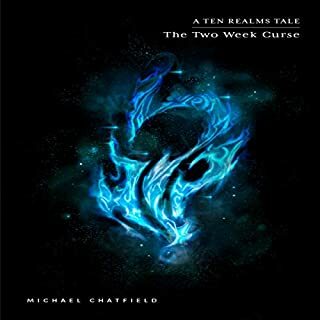 I listened to a recent book by the author "The Two Week Curse: Ten Realms, Book 1" and found it very enjoyable. So I then turned to this series. 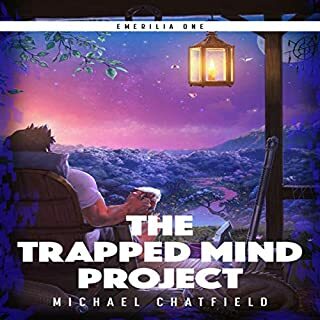 The first book in this series - the Trapped Mind Project - was absolutely terribly written, but concept was good. I couldn't believe it was the same author it was so bad. I read several reviews and thought I would try the second book in the series, but book 2 just stopped midway through the darn story! (writing was much better than in Trapped Mind). Last I listened to the "3rd" book which was really just book 2 continued. The author's writing ability continues to get better, but... not good enough to spend my audible credits on. I will probably purchase and listen to the author's next book in "The Ten Realms" series, but the author's writing ability just wasn't good enough when he wrote this series. 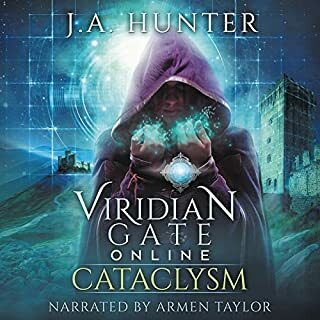 If money or audible credits is not a concern - then sure, but if not, I would pass unless there are no other books by other authors you really enjoy. loving the series, but sometimes the end is kind of abrupt, but I do love the way it's going about. though I'll admit, the fact they always have the answers gets a little predictable. a little more of things not going their way would make the sorry better. as someone who plays games I find it both annoying and unlikely that someone would ignore notifications they need to open. Another great entry in the series! Narration continues to be good, and the story continues to make me want more. 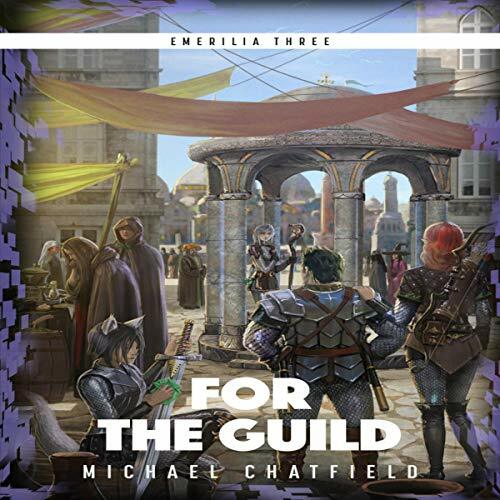 Michael Chatfield does it again! An interesting and well thought out plot that keeps you wanting more and more, everything has a good pace i cannot recommend this series enough! 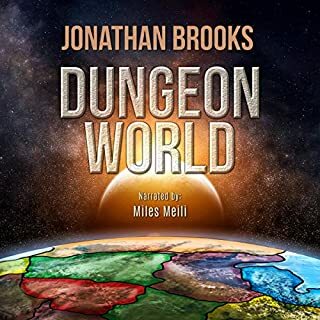 The second book in the series was a little lighter on action than the first one with the focus having been predominantly on Dave's progression as a character more than the overall story arcs, but that is not the case in the 3rd installment of the series as the story picks up pace on both Emerilia and the larger universe of these books. Dave and the rest of party zero continue to develop their skills as characters and their party has to put those to the test against both the challenges the planet has to offer and also against a dark-aligned player killing guild who has the Stone Raiders guild in their sights. The narrator again does a good job and at times seems to relish some of the humour in the story such as many of the comments from Suzie's Golem Steve and he continues to ensure that other characters have distinctive enough voices that the expanding cast do not get confusing. In summary, this series continues to be an enjoyable one and I am looking forward to listening to the next one when I get the chance. 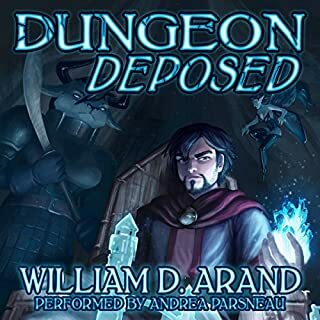 I download a lot of audiobooks and i think these are some on the best i have heard. What a great series and this chapter was a enjoyable story to listen to as well. 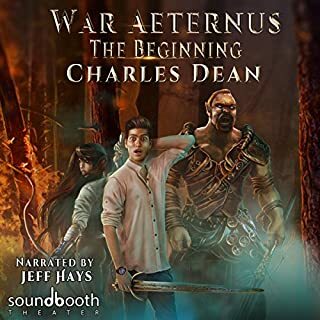 Looking forward to the next audio in this series.